Now that the elections are over, we’re all breathing a sigh of relief from the mud-slinging ads. 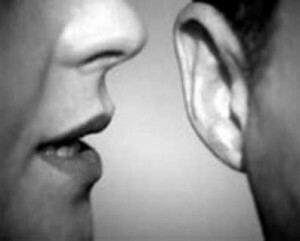 Our ears were practically pickled in the brine of malicious words. This has been on my mind especially lately because I spoke at a conference last weekend on “How to Have a Kosher Mouth.” The talk was about how to clean up your speech from gossip and negativity so that it is more Christ-like. I shared some Jewish wisdom on ethics of speech that is very biblical and practical. I don’t yet have the recording, but I gave a similar talk a few months ago for the Center for Judaic-Christian Studies in Dayton, Ohio. If you’d like to listen, here’s the link. My talk comes from the chapter I wrote by the same name in Walking in the Dust of Rabbi Jesus, my book that came out a few months ago. I’ve also posted an excerpt at this link: Putting out a Tongue of Fire. 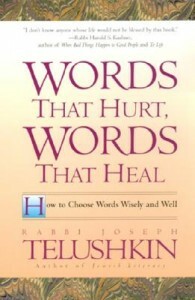 If you’d like to read more, a book I highly recommend is Words that Hurt, Words that Heal by Rabbi Joseph Telushkin. 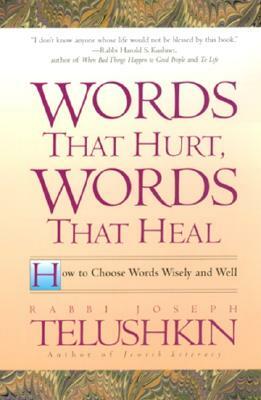 This is one of several great books he’s written on Jewish ethics for living.